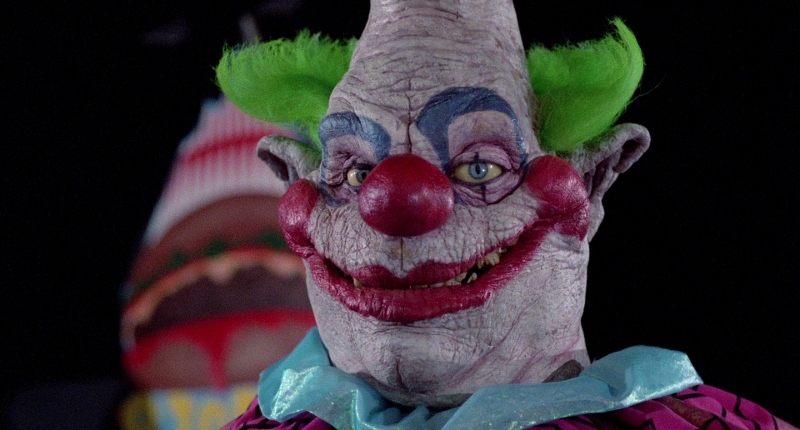 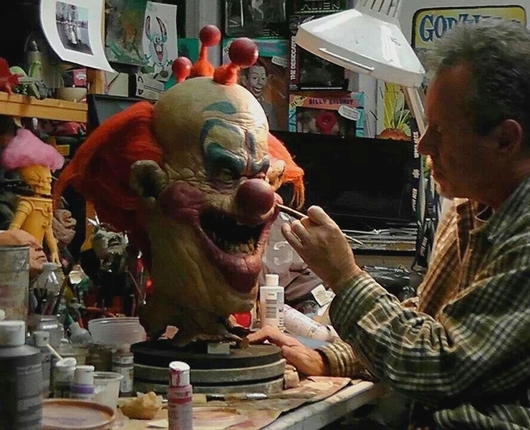 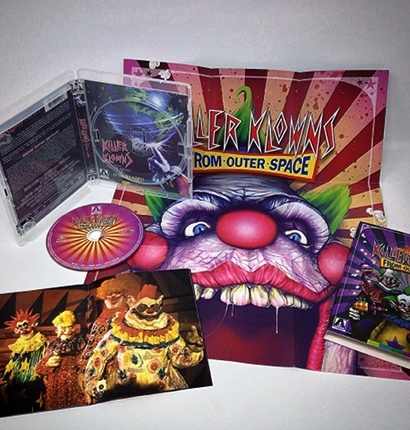 Killer Klowns is loaded with all the tongue-in-cheek goofiness you'd expect from three brothers who created stop-motion horror movies as kids and continued doing what they loved into adulthood. 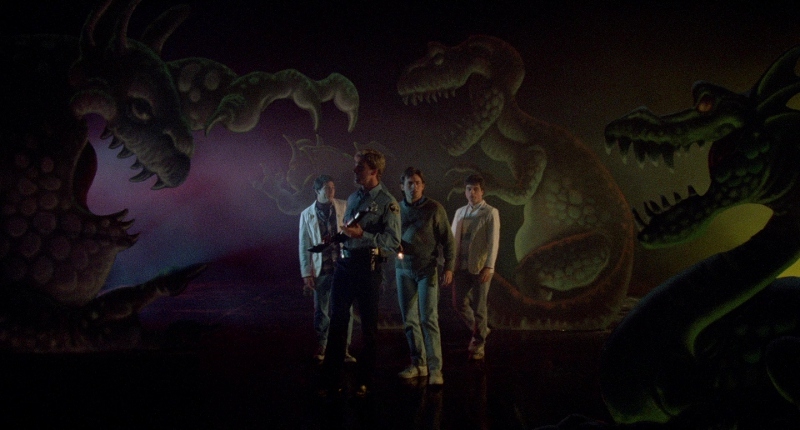 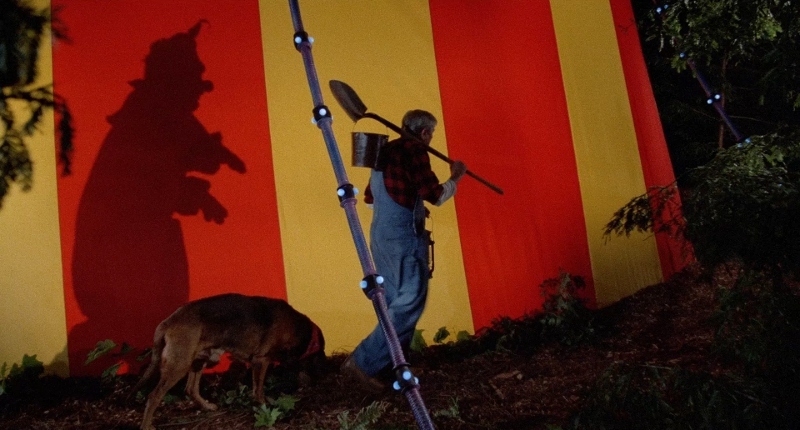 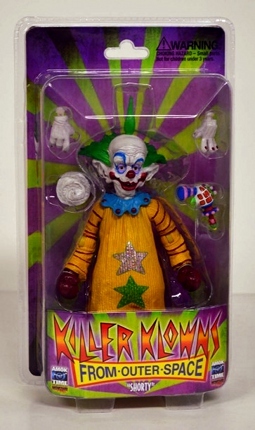 Featuring colorful production design, creative costumes, no shortage of circus-themed sight gags (balloon animal dogs, popcorn guns, face-melting cream pies), and a short but sweet plot that doesn't overstay its welcome, Killer Klowns hits most of its marks and gets out of town before we have time to overthink a few plot holes and standard horror movie clich�s. 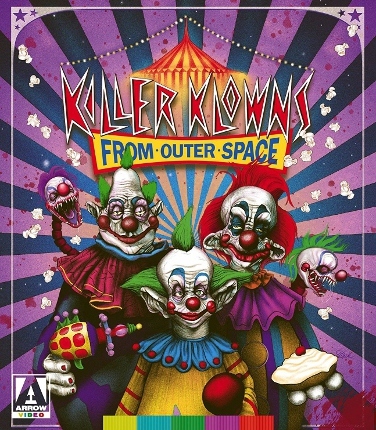 It also captures an effective balance between both genres, letting first-time viewers put their guards down before delivering a few genuinely creepy moments -- a bloody "ventriloquist" gag involving Crescent Cove's grumpy, scene-stealing police sergeant Curtis Mooney (John Vernon) still gives me the jibblies, and I've seen this movie at least a dozen times over the past 15 years or so.